The 2019 NBA draft class just got a big-time addition in R.J. Barrett, who reclassified to join this group. The 6-7 Canadian immediately challenges for the top SF spot in the class and could go #1 overall if Marvin Bagley classes up. 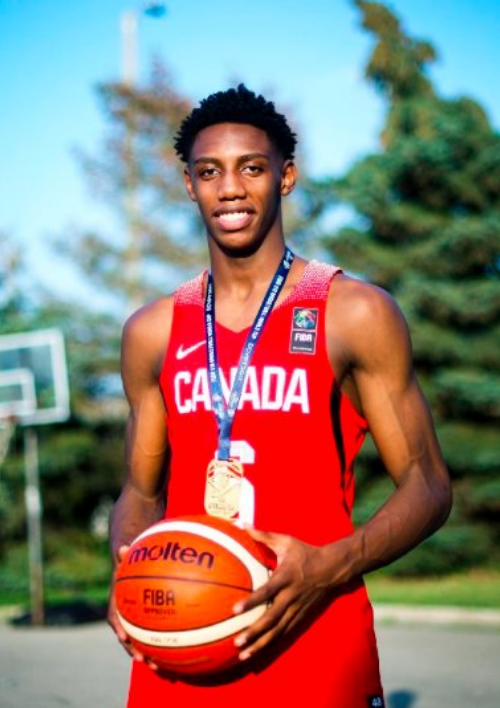 R.J. Barrett joins an already talented group at the small forward position. This group features the most dynamic dunker we've ever seen at the high school level in Zion Williamson and the class is super deep as well. Here's a look at the top prospects. 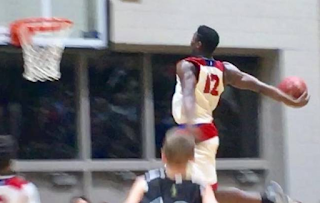 Best Prospect - R.J. Barrett or Zion Williamson? #1) R.J. Barrett and Zion are both lefties but are very different types of player. R.J. is an elite level talent who can do it all on the court. He fits into the mold of a Tracy McGrady, Grant Hill type of player who can score from three levels, pass the rock and is solid in all aspects of the game. He's got tremendous length, a quick and wiry frame and is silky smooth on the court. His outside shooting is advanced for this stage of development and he has all the makings of an elite level scorer at the NBA level. His high skill level and ability to take over the game help to make him our #1 ranked SF in this class. ability. He seems to defy gravity with the way in which he gets his 230 pound frame into the air and hangs there while he spins and tomahawks the ball. His quickness and agility at that size are impressive and once he gets up a head of steam it's hard to keep him from getting to the rim. He doesn't have the well rounded game that Barrett has, so we're ranking him #2 in this SF class. Zion will have to develop his outside shot and continue to grow his perimeter game. He's built more like Larry Johnson than a tradition wing and he has a lot of power forward traits. It remains to be seen whether he can develop his shooting to an elite level. 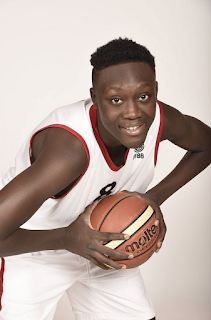 #3) Sekou Doumbouya and Louis King are the next in line and both have lottery potential. Doumbouya is a burly 6-9 French forward who combines great strength, size and mobility. He's a versatile player who projects as a high level defender who can guard many positions. He's got good handles and has some point forward tendencies, which is impressive considering his big frame. His outside shot shows a lot of promise and he plays a good all around game, without showing any glaring weakness. #4) Louis King is emerging as an elite level SF in this class. His rate of improvement over the past year has been impressive and he's rocketing up draft boards. He's got the size, athleticism and high skill level to be a one and done player and could sneak into the lottery. He's built like Rudy Gay and has a similar skill set. King excels at getting to the rim and has shown a nice in-between game as well. After the top 4 prospects there's a glut of talent and it remains to be seen which of these players will separate from the pack. #6) Kris Wilkes (UCLA) - is a polished all around talent with a mature game. #8) Lamont West (West Virginia) is an underrated prospect. A well-built, solid defender with an emerging offensive game. In this era of position-less basketball, having versatile wings who can shoot, pass and defend multiple positions is key. Judging by this potential draft class, the NBA will be in good hands at the wing position for years to come.